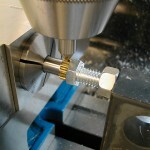 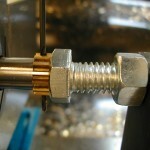 To drill the roll pin holes in the gears, I made a short stub arbor on the end of a piece of 3/8″ drill rod. 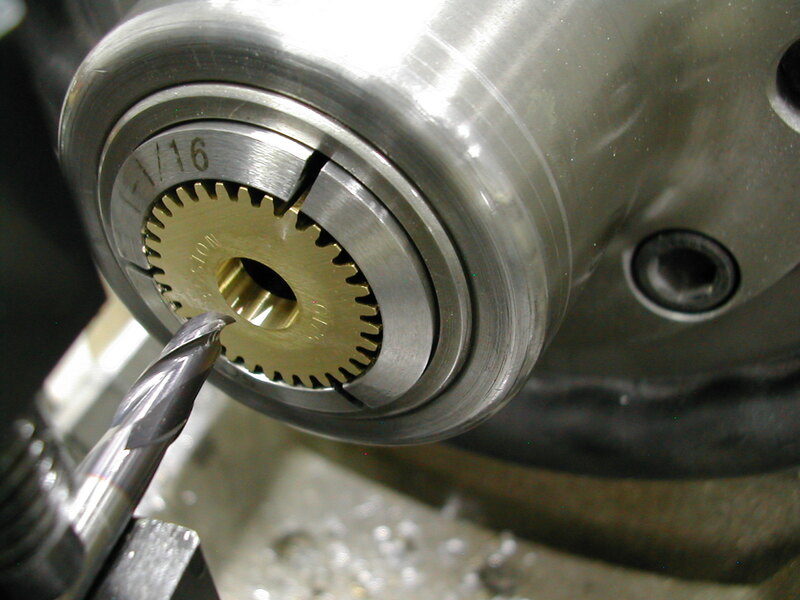 I indicated the center of the drill rod diameter and the center of the gear width, and drilled a 1/16″ hole through the arbor stub. 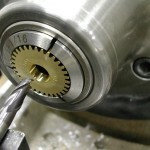 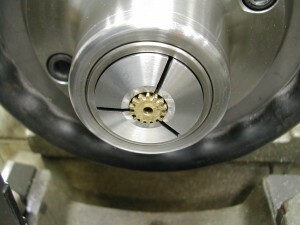 A gear was then placed on the stub, and a center chucked in the spindle. 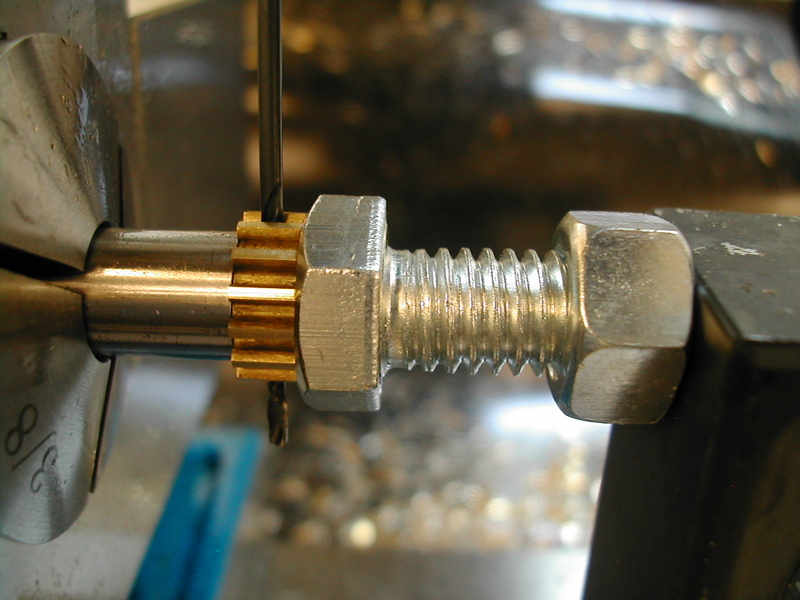 The center was lowered into a tooth root, and a jack bolt and nut were used to press the gear securely against the shoulder of the stub arbor. 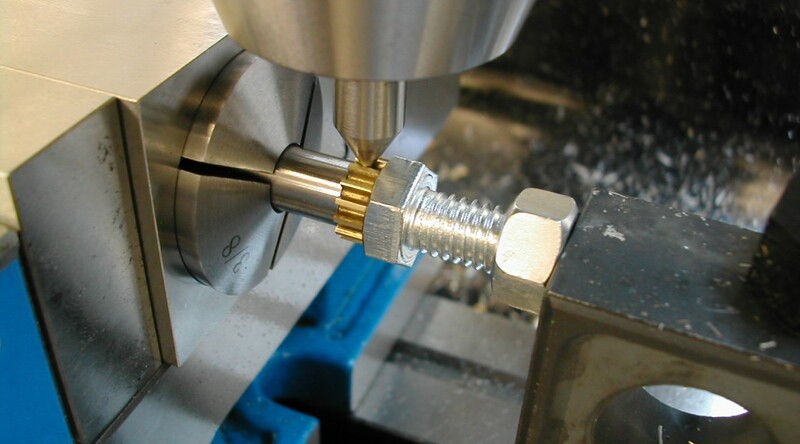 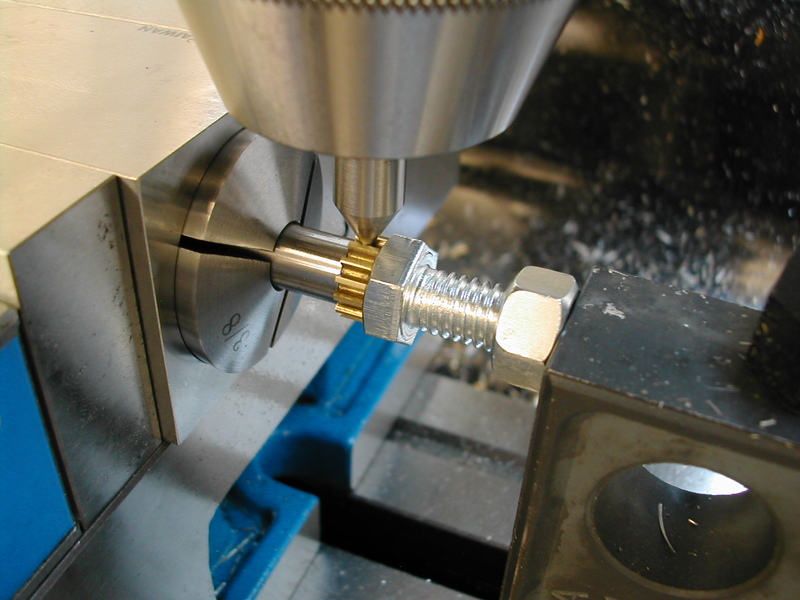 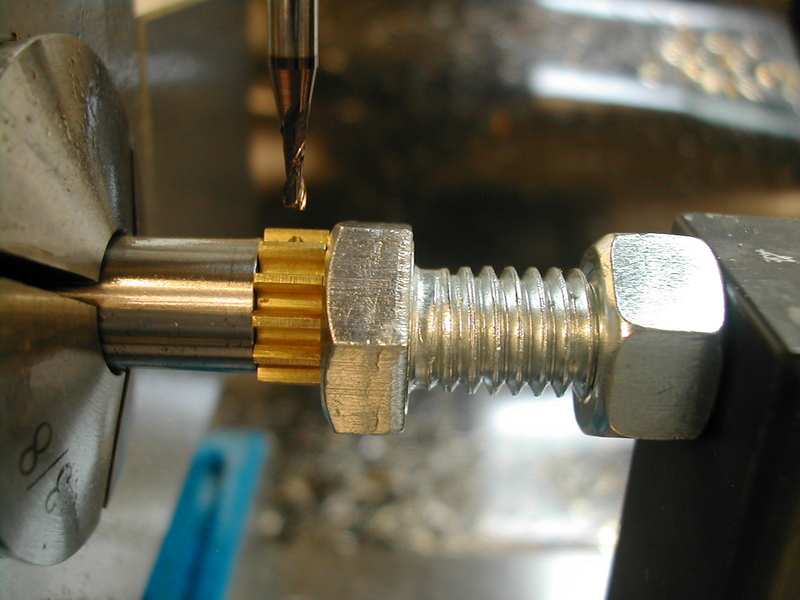 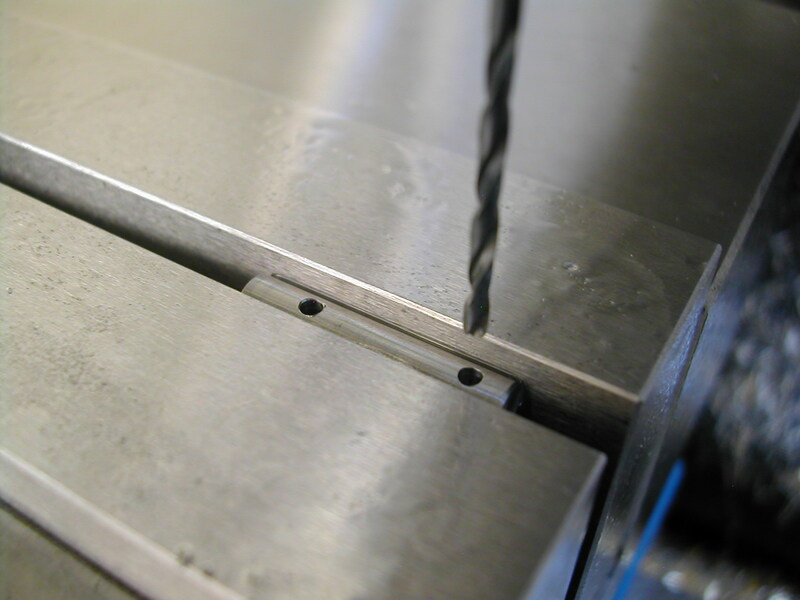 A 1/16″ endmill was used to start the roll pin holes at least to the bottom of the tooth root to prevent the drill bit from walking. The endmill was then followed with a 1/16″ drill through, the jack bolt removed, and the process was repeated for the other five oil pump gears. 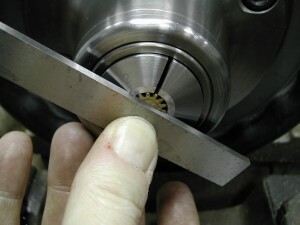 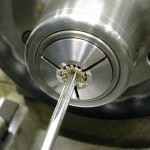 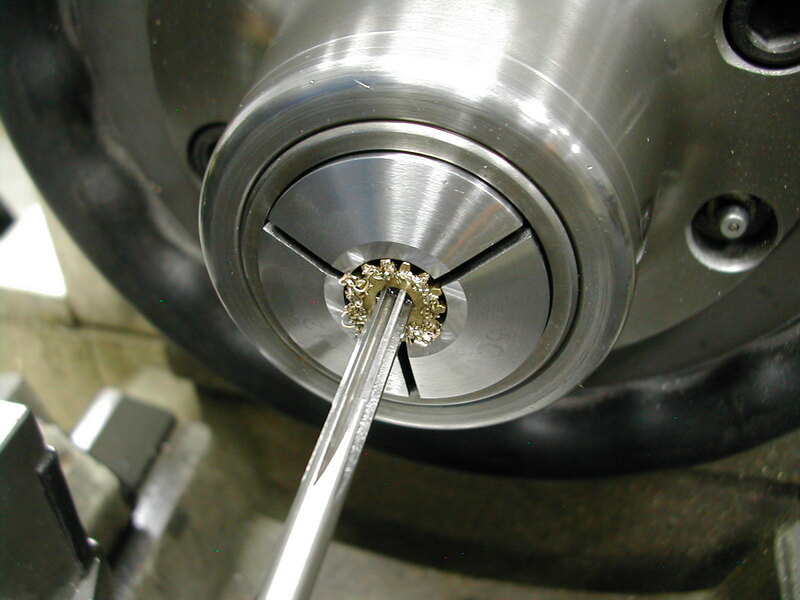 The driver and driven shafts were then drilled for the roll pins. These were a little easier since I could use a center drill.